You can also “find Pokémon Eggs at PokéShops”, presumably left abandoned in back alley dumpsters. I assume that these will hatch Pokémon that aren't native to your area. So if systemic generational poverty is preventing you from flying to Australia to catch a Kangaskhan, you can always hope to hatch one right in your slummy neighbourhood! They'll go along great with all your Scraggy and Grimer. There seems to be a territorial Gym system, which also corresponds to real-world locations. (Is this their way of trying to get players to work out, on top of going outside and visiting museums?) There are three teams we know nothing about as of now, but players get to pick one of those to join up with and deposit their Pokémon there. Those Pokémon, in coordination with other team members at that Gym, will defend it from rival team members. I wonder if these will give players the sense of “I've always wanted to join Team Rocket!” that people have been begging for ever since the Nugget Bridge Rocket member offered it in Pokémon Red/Pokémon Blue? 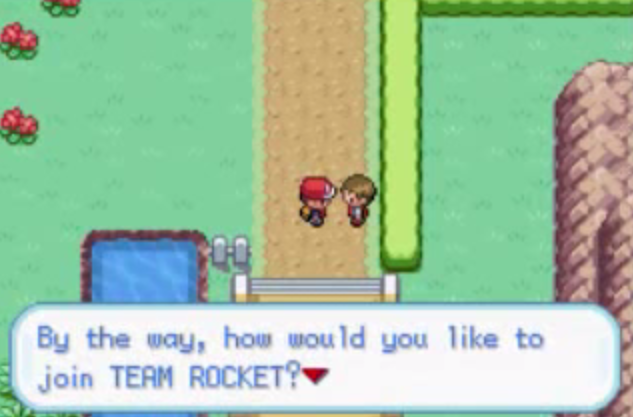 “By the way, how would you like to join TEAM ROCKET?” You can't say yes. ...Or maybe they're goodie-goodie teams. Pokémon GO also has achievement medals that are probably linked to area exploration, the number of Pokémon you've captured, and your level. (Yes, your level. The trainer has a level.) In addition, there's a physical dongle that is significantly less cool than the Pokéwalker that came with Pokémon HeartGold/Pokémon SoulSilver. When there is a wild Pokémon nearby, your smartphone will vibrate. If you buy the dongle, called the Pokémon GO Plus, the dongle will vibrate and flash colours (or something) if there's a wild Pokémon, and you can press the button on the Pokémon GO Plus to do “simple actions” without the smartphone. Official artwork of the Pokémon GO Plus. It's unknown if the wrist-strap will be included. Something not in the information release, but is from a presentation of Pokémon GO from the recent South by Southwest festival is the existence of omnipresent “crystals”, which is a standard term for “micro-transaction money” in free-to-play circles. This presentation is the first footage of the game, and it's really different than the trailer. But if you had critical thinking skills, you'd know the game wouldn't look like its trailer. 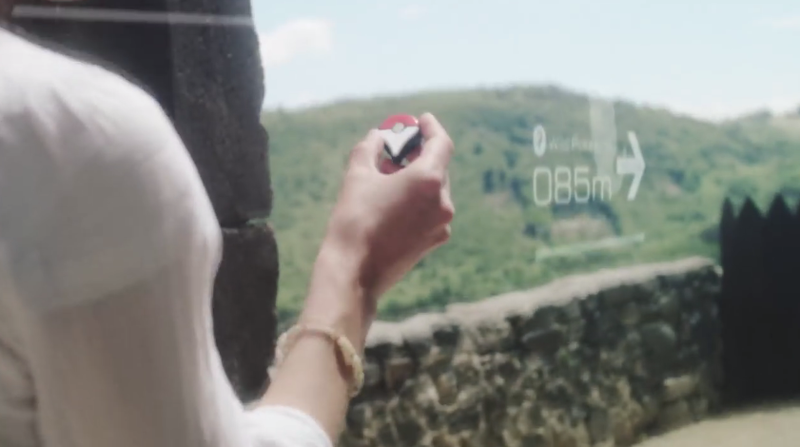 Oh, it's the Pokémon GO Plus device in the trailer. ...Maybe the trailer wasn't totally useless. Ludwig still doesn't own a smartphone, so he won't be able to play Pokémon GO. He once thought owning the latest Nintendo hardware was all one needed to be able to access all Pokémon had to offer, but he turned out to be wrong. For an idea of where you may find certain Pokémon, check out The Pokémon Company International's list of which Pokémon are mascots of which cities here! Ludwig not having a smartphone causes a lot of problems for him in Brazil. Do you want to participate in the Field Test? Click here for details. We got tips for you to stay safe when venturing out to places. Think I'll find a Girafarig every time I go to a giraffe feeding area in a zoo? I don't think Google Maps knows that it's a giraffe-specific area. I do wonder how GO will handle duplicate species. Or Pokémon management in general. ...But wouldn't the implications be that, uh, you're abducting the zoo giraffes?